Effective leadership can turn ailing school environments into inspiring, functioning and equitable places where staff and students can grow. How can we develop school principals who can provide such transformative leadership? Interacting with the arts is a great way to develop these skills. Many educators would agree that a significant portion of our large urban public school systems are on life support: an ongoing and severe teacher shortage, high rates of teacher dissatisfaction measured in astronomical attrition, stagnating student performance. Effective leadership can turn ailing school environments into inspiring, functioning and equitable places where staff and students can grow. So, how can we develop school principals who can provide such transformative leadership? My 25 years of experience as principal and superintendent working in urban public schools in New York City and Massachusetts has shown me that interacting with the arts is a great way to develop these skills. Scores on the National Assessment of Educational Progress (NAEP), known as the nation’s “report card,” have flat lined, showing virtually no progress over 40 years. Meanwhile, half (51 percent) of teachers report feeling great stress several days a week — a 15 percent increase since 1985. Evidence shows that school environment has a significant impact in teacher dissatisfaction and that principal leadership plays a meaningful role. Through thousands of conversations I have had with K-12 educators across the country, I have come to understand that many principals believe they are powerless to influence their school’s culture and improve its learning environment. As a former principal and superintendent myself, I understand why. They are under constant pressure to create a climate of achievement while having few options to make any meaningful organizational changes. Interacting with works of art — such as paintings, dance performances, music and poetry — provides an opportunity to free school leaders to envision what their schools could be. The idea of the arts as a fundamental learning tool was developed and promoted by education theorist Maxine Greene, a faculty member of Teachers College at Columbia University for more than 40 years. Greene argued that artistic inquiry and engagement opened up possibilities of achieving democratic ideals of equity and inclusion. Such inquiry helps individuals break out of confined roles and frees them to find new ways to solve problems and overcome challenges. So, here is what we have been doing at the Urban Principals Academy at Lehigh (U*PAL) to train principals to be leaders. Our master’s degree students participate in “aesthetic experiences” and, in doing so, leave their comfort zones far behind. 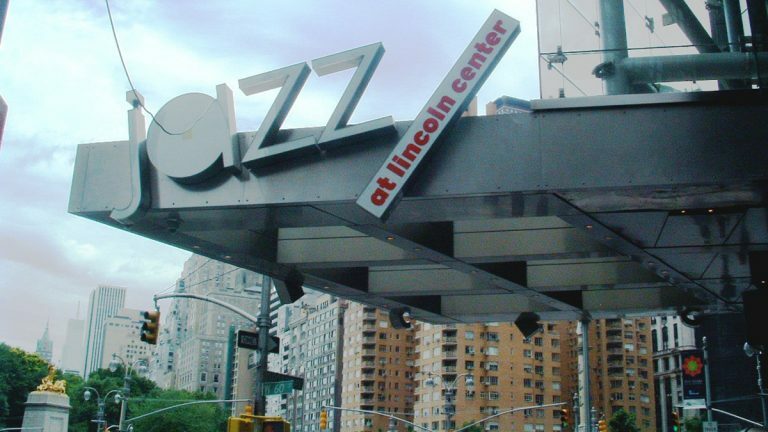 In one workshop, at New York City’s Jazz at Lincoln Center, they explore leading, following, listening and improvisation. It takes place. The workshop, led by professional teaching artists from The Maxine Greene Center for Aesthetic Education and Social Imagination, starts with a gentle nudge into the unexpected. Students are asked to sit next to someone they don’t know. Participating in group exercises led by the teaching artist, the students ease into the seminar. Then they are broken up into smaller teams, given musical instruments, and told that they have 30 minutes to create a dance, a piece of music or a song that incorporates the concepts of time, beat and rhythm and that they will perform the piece for their classmates. In this high-pressure situation — most of the students have little musical or performance experience — participants learn just how quickly they can blend into a team and how — even in just 30 minutes — a team can develop its own way of working together. Afterward, they listen to a live performance of jazz masters — virtuosos in the art of leading, following and listening. The students participate in a Q&A session with the musicians to learn more about what it takes to function so effectively — and beautifully — as an ensemble. This is just one of 10 aesthetic workshops our students participate in over two summers of instruction. And I have seen time and time again how these artistic engagement experiences impact their work, helping them transform the cultures of their schools from stultifying to collaborative and even joyful. Among the keys to effective leadership are a sense of creativity and openness. Our students learn these important concepts, not just through research, but through interaction with the arts, and it is their willingness to enter into the unknown that makes this new understanding of leadership possible. The aesthetic experience evokes feelings in our students that work as a gateway to further self-inquiry. Reflecting upon and sharing their feelings about a work of art makes it infinitely easier for these passionate and caring educators to reflect upon and share the feelings they experience day-to-day as administrators and teachers. And this deep reflection allows us to engage in substantive conversations about key issues, such as the challenges fostered by inequity and privilege that plague our schools and society. Such conversations — spurred by interaction with the arts — produce flexible, compassionate, self-aware and creative leaders equipped to develop organizations that foster growth — fertile ground upon which to build a culture of learning where students can thrive. Jon Drescher is a professor of practice in educational leadership at Lehigh University’s College of Education and the director of the Urban Principals Academy @Lehigh. Prior to Lehigh, Drescher was a project director for the Center for Educational Innovation in New York City and the associate director of the Summer Principals Academy at Columbia University.